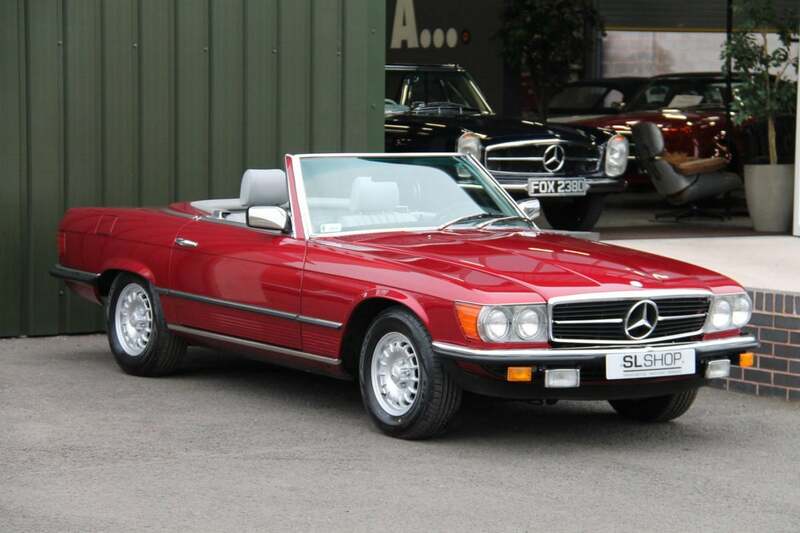 We have a fully restored 380 SL in LHD built to concourse standards overseas by a MB Restorer. The colour was changed to a non Mercedes Colour which was chosen to suit his requirements. The interior benefits from a Beautiful retrim of correct German Leather and perforation including the door cards. The car was a body of restoration to perfection inside and out and carrying right though to the underbody and engine. 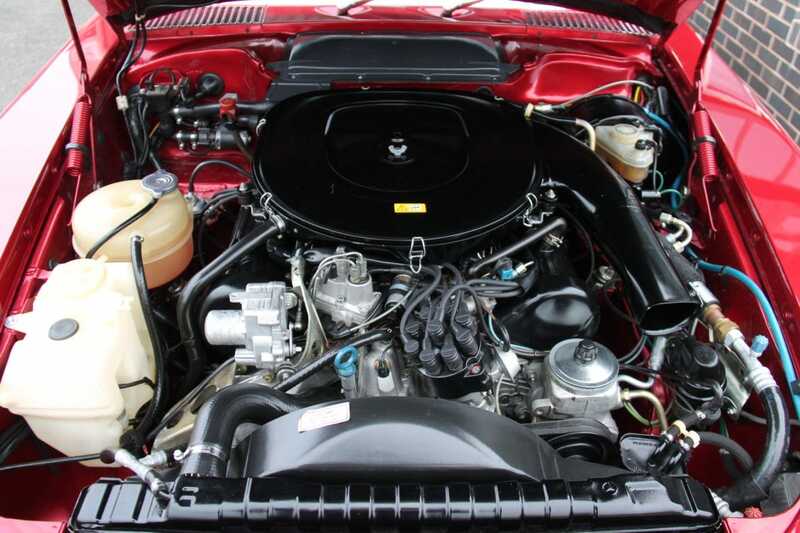 The engine was also fully rebuilt and detailed to show standard and now in the process of running in and fine tuning to be used as a continental cruiser being LHD model. The bright work and seals are all in perfect condition alongside the soft top. The standard of this rebuild is a testament to the previous owner and how he takes great pride in cars from his collection. A example this good is hard to replicate unless you have the passion for these cars, it is now ready for a new owner to enjoy this car to its full potential..
A nut and bolt concourse rebuild to show standard which was carried out overseas to a private owners request, a no expense spared rebuild carried throughout the complete vehicle. Just beautiful.